Prednisone is a type of drug known as a corticosteroid. It closely resembles a substance that is made by the human adrenal glands. Steroids that are made by the human body work to reduce inflammation and to regulate the intake of salt. The body produces more steroids when it is stressed, such as during an illness. This is why they are sometimes referred to as "stress hormones." Prednisone is prescribed to treat many different types of inflammatory conditions, everything from skin rashes to inflammatory bowel disease (IBD). Prednisone may be given for only a short time, such as over a few days to much longer periods. Some people who take prednisone for chronic conditions have trouble stopping the drug because the symptoms return every time the dose is lowered. This is called steroid-dependent, and most physicians agree it's not an optimal form of treatment. In most cases, getting the condition under control and stopping the prednisone as soon as possible is the ultimate goal. What Are the Side Effects of Prednisone? Side effects of prednisone that can prove troublesome include increased appetite, weight gain, hair growth, acne, mood changes, and difficulty sleeping. See the prednisone side effects page for a more complete list. The more serious side effects of prednisone include cataracts, glaucoma, osteoporosis, and bone damage in the hips. These side effects are permanent and occur only after long-term use. If you have concerns about these side effects, you should speak to your physician regarding these risks. Prednisone should be taken exactly as prescribed by the doctor. A physician will tailor the dosage to the needs of each individual patient. In order for prednisone to have the desired effect on the body, it must be taken at certain regular intervals. DO NOT stop taking prednisone suddenly without consulting your physician. Prednisone is a drug that must be tapered down slowly over a number of days, and in some cases, even over weeks or months. The length of time it takes to stop the prednisone will be dependent upon how long it was taken in the first place: if it's only taken for a few days or weeks, a taper might not be needed. In order to prevent the stomach upset that sometimes occurs with prednisone, it can be taken with a meal or a snack. Prednisone may be prescribed for many conditions including Crohn's disease, ulcerative colitis, allergic rhinitis (hay fever), rheumatoid arthritis, and ankylosing spondylitis. What Do You Do If You Miss A Dose? If you miss a dose, take it as soon as you remember. If your next dose of prednisone should be taken soon, just take that dose. Don't double up, or take more than one dose at a time. 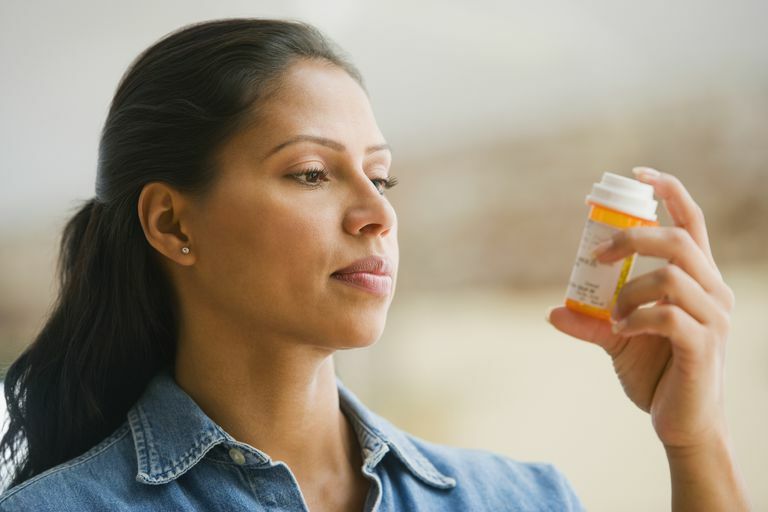 What Medications Can Prednisone Interact With? Is Prednisone Safe During Pregnancy? The FDA has classified prednisone as a type C drug. This means that it is not known what effect pregnancy will have on an unborn baby. Notify the prescribing doctor if you become pregnant while taking prednisone. Prednisone does pass into breast milk and could affect a nursing infant. How Long Can Prednisone Be Taken Safely? In most cases, it is advisable to taper off prednisone as soon as symptoms subside. Can Taking Prednisone Give You Acne? Is Prednisone Making You Moody? Is Prednisone Safe to Take During Pregnancy?